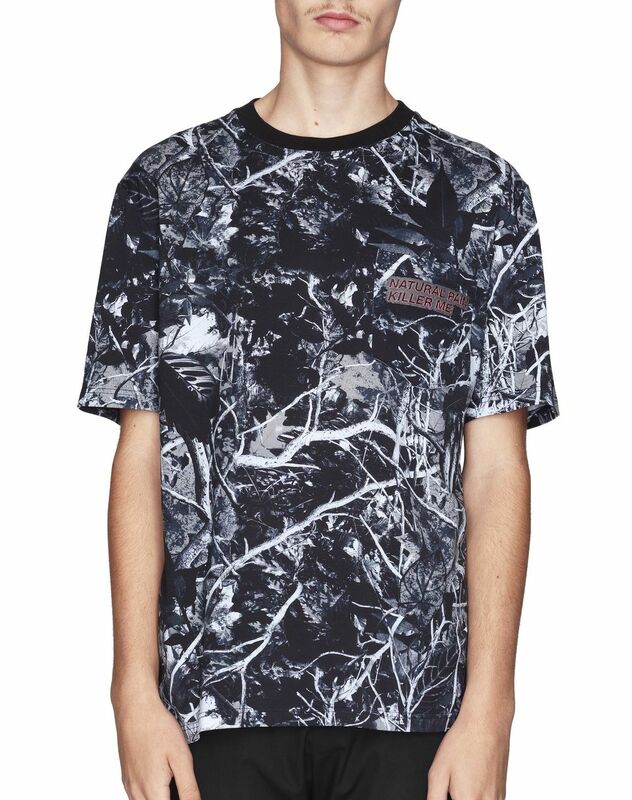 Short-sleeved T-shirt in navy blue cotton knit, “Forest Camouflage” print, chest pocket with embroidery, and single patch with “L” on the right sleeve. 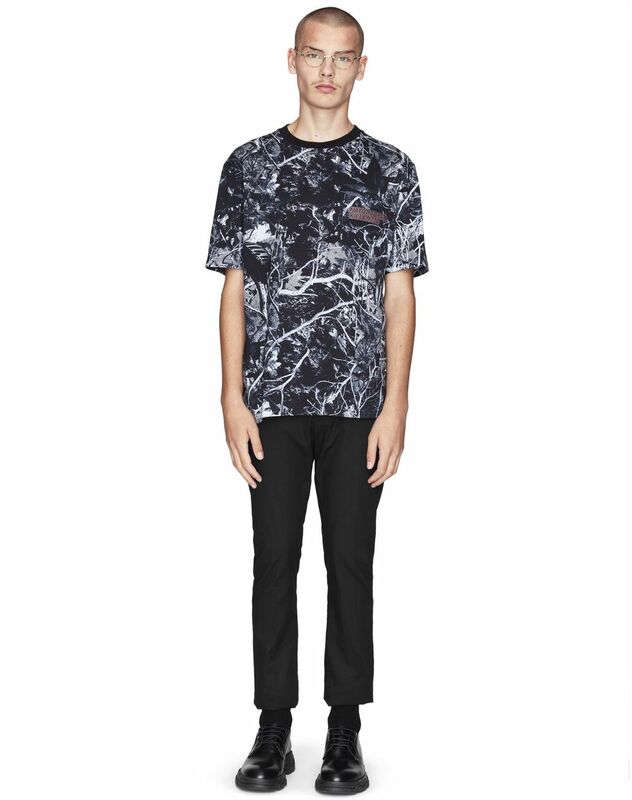 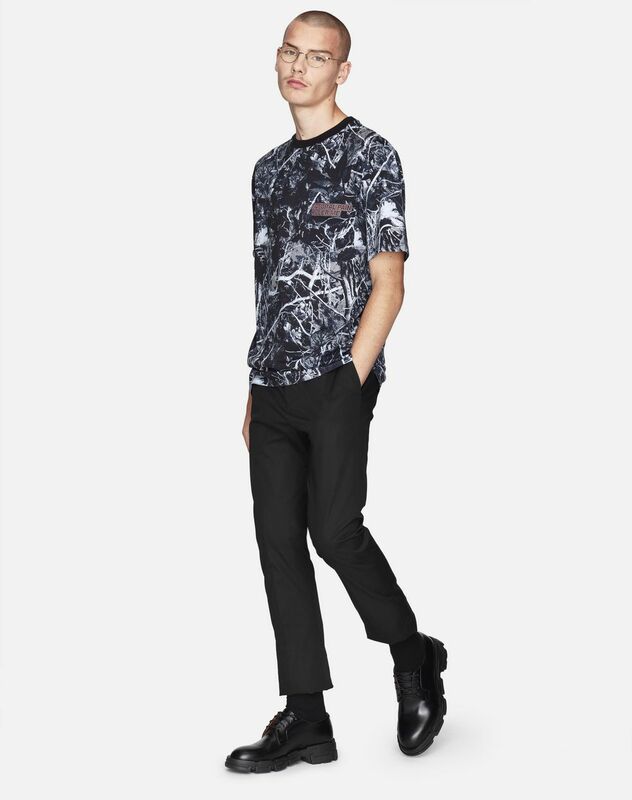 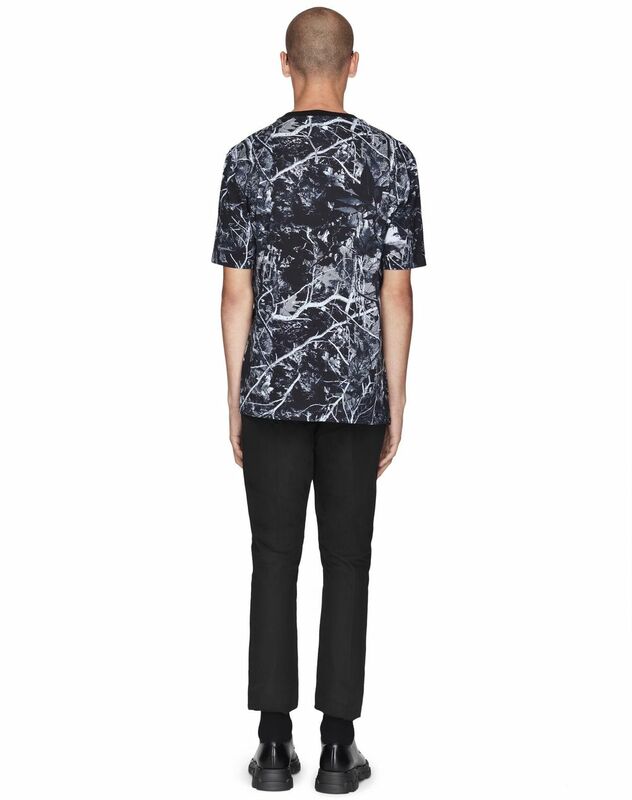 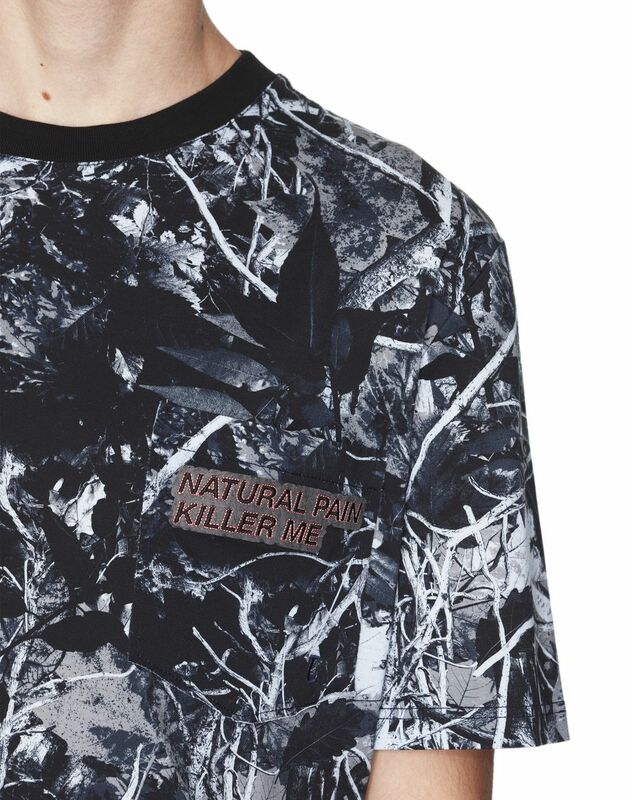 Inspired by the Fall/Winter 2018 Collection, this T-shirt completes the “Forest Camouflage” series for a trendy and casual look. 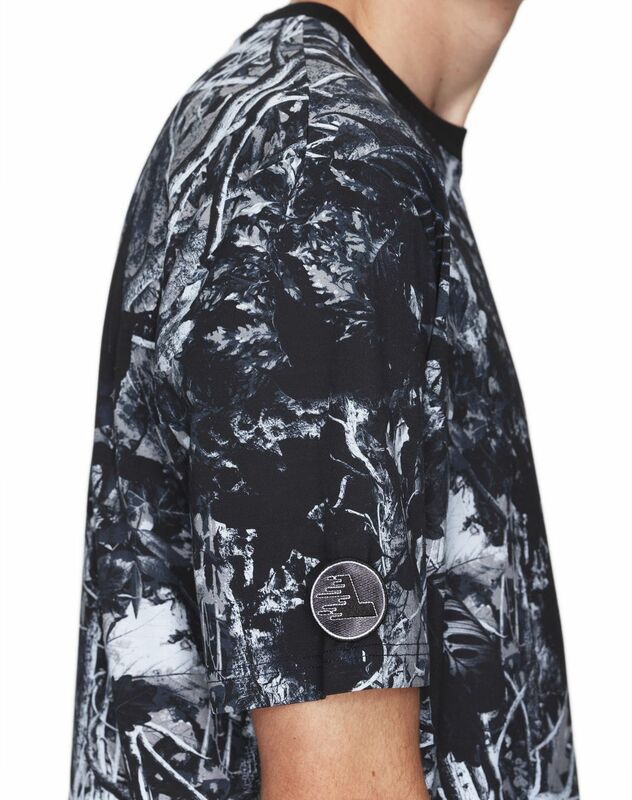 The unique embroidery on the chest adds a touch of personality to this unmistakably Lanvin model.